Canadian Olympian Penny Oleksiak is no stranger to making her mark. At the age of 15, she landed a spot on the Canadian Olympic team, after setting a Canadian record in the 100 M butterfly. She went on to become the youngest Canadian Olympic Gold medalist, not to mention the first Canadian to win four medals at a single Summer Games. Along with training for the upcoming Pan Pacific Swimming Championships in August, Oleksiak is now the face of ASICS “I Move Me” Campaign. Focused on inspiring movement of body, mind and spirit, with all her accomplishments and her relaxed, positive spirit Oleksiak is a natural fit as an athlete ambassador. We caught up with Oleksiak when she was in Toronto earlier this month to kick off the campaign with ASICS Canada and found out more about what inspires her, how she stays motivated and how running has made her a better swimmer. iRun: What can runners learn from swimmers? Penny Oleksiak: I think where running helped me was with my endurance. Overall when I went for longer runs, I was able to swim longer and it really kind of balanced me. I think that both sports really work your body in similar ways and are really quite intensive so athletes in both can learn from the other. With running, getting in the pool can actually help with you in terms of your breathing which you might not realize. For me as a swimmer, in the past I haven’t run that often but I’ve been trying to get more into doing stadium runs. Especially in the Olympic year, I ran a lot that summer and it is really such an easy way to get fit. iRun: As an athlete, how do you maintain your motivation for more, after you’ve reached your goals? Penny Oleksiak: I stay motivated by knowing that I always have something to fix. Whenever I come out of a race, I know that I’m not perfect and there’s always something I can improve upon. When I have that happen, that I’ve swam the perfect race, that’s when I’ll probably stop because right now, every time I get out of the pool I know there are little things that can always be better it could be the most minor thing. For example, even at the Olympics, as soon as I got out of the pool, everyone is celebrating and I’m so happy and my coach tells me, that wasn’t a great race. As much as I felt it was the perfect race, my coach pointed out what I could have fixed and I would have been faster. So there’s always something no matter what. 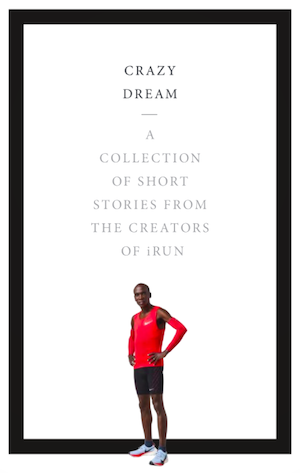 iRun: What does being part of this new campaign with Asics mean for you? Penny Oleksiak: Being part of the “I Move Me” campaign, it’s been very cool to see it all come to life. The campaign is really about expressing your everyday life, it’s not only running and swimming but it’s a whole individuality and how you power your life on so many levels and how you want to move. 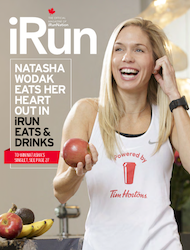 iRun: What helps you stay so positive? Penny Oleksiak: I love swimming. For me, the knowledge that I can change something to be faster is a positive thing. As much as it sounds negative in a way, it’s a driver and that’s good that I want to find that one way to become faster. I almost always want to find that one thing wrong with my race so that I can fix it. iRun: For runners music can be a big motivator, is music a part of your training? Penny Oleksiak: I love music so much, but you can’t listen to anything underwater. I usually play rap music or really chill music and I mix it up with all different genres. When I am strength training or running, I’m always listening to something and it really pumps me up. iRun: How do you deal with the pressure? iRun: What is the driving force in you? Penny Oleksiak: Seeing myself improve and get better at swimming that kept pushing me forward and brought me to where I am today. iRun: What’s next for you? Penny Oleksiak: I’m on the build for the Olympics of course. Right now, I’m training for Pan Pacific Swimming Championships in August. Next year, it will be the World Championships and it’s all really a build to the Olympics. iRun: What do you say to young athletes who aspire to be an Olympian one day? Penny Oleksiak: My main thing is that you have to have fun. You have to go and do whatever it is you enjoy. Swimming has always been it for me so I poured myself into it and I couldn’t imagine anything else. I was originally doing dance and gymnastics but I wanted to give swimming a try and when I saw I was getting better and better, I found I really loved it. Thanks for the tips Penny. You are an inspiration for all of us!